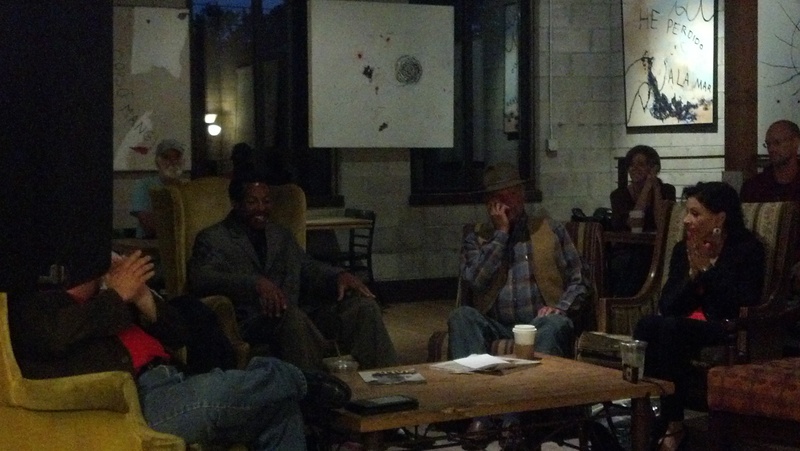 The next Poetry in the Brew happens on October 13, 2012 at Portland Brew East. By request, Chance Chambers will be the Featured poet. Jamie Collins has agreed to host for us this month. Reminder, Sign-up is at 5:30, and the reading starts at 6:30. Chance Chambers was a top 100 winner in the Mainstream/Literary Short Story category of Writer’s Digest’s 73rd Annual Writing Competition for his story “Miss October,” which later appeared in Muscadine Lines: A Southern Anthology. His short stories have also appeared in the anthologies Gathering: Writers of Williamson County and Fracas: A Collection of Short Friction.Chance has been a quarter-finalist in Francis Ford Coppola’s Zoetrope: All-Story & New Century Writers Short Story Competition, a finalist in Glimmer Train’s Poetry Open, and a three-time nominee for the Sensored Starving Artist awards in fiction and poetry. Originally from Paris, Tennessee, Chance has lived in Nashville since 1985. Chance’s online home is his blog, Drunken Poem Bodega, at http://chancechambers.wordpress.com. The October 2012 theme is Death. Bring us your poems about death for this pre-Halloween open mic poetry reading. After the open mic is over, we take the party across town to Hillsboro Village. 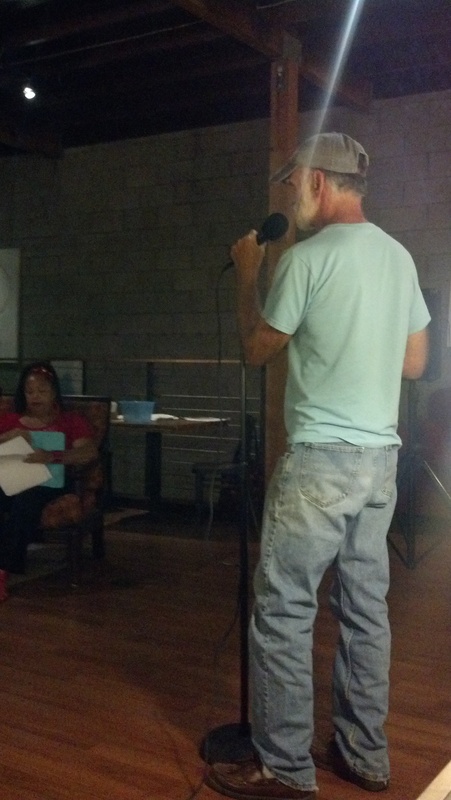 Jamie Givens is offering up her studio for round two of poetry over the mic outside. (Weather Permitting) Her location is 1910 21st Avenue South, Nashville 37212. We will have some munchies, but folks are encouraged to bring your own beverage and some snacks to share. A lawn chair may be comfortable! Please consider coming to celebrate poetry in a parking lot! Here are photos of what you missed last month. 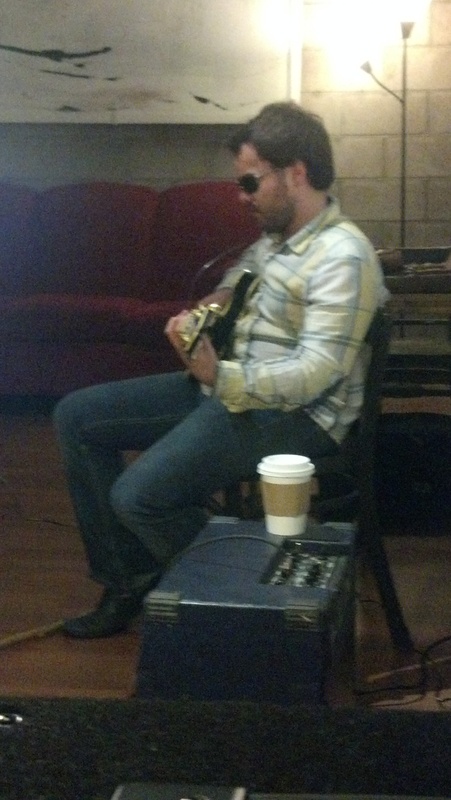 Thanks to Robert Sebastian for the great guitar sounds!